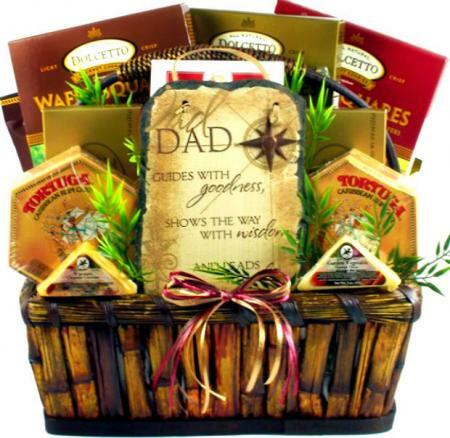 Tops Pops gift basket especially for Dad! 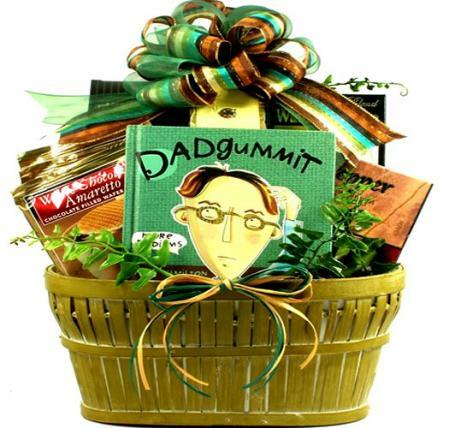 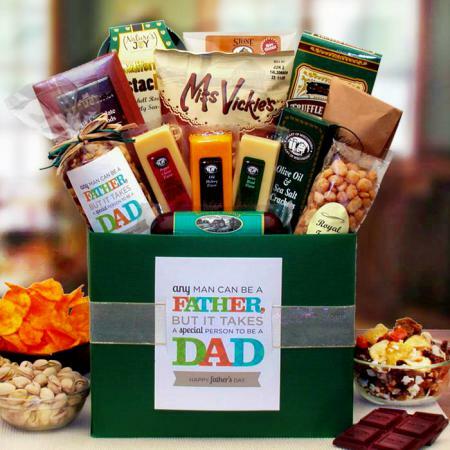 This Father's Day basket includes treats for dad plus a book filled with quotations honoring Father's, the wisest men you know. 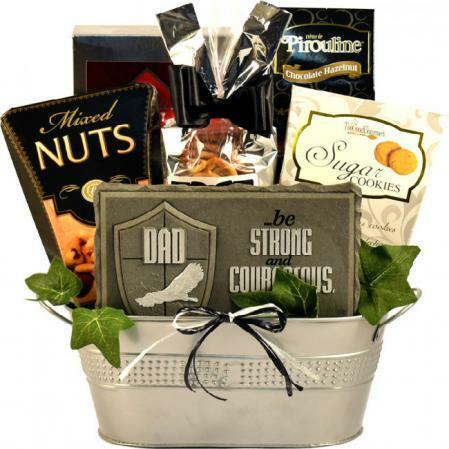 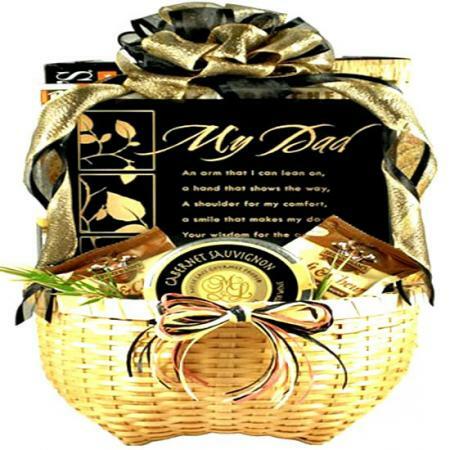 This gift basket for Dad includes a special keepsake, brass plated bookmark that says ìBlessed is the man who trusts in the Lord, and whose hope is the Lordí Jeremiah 17:7î. 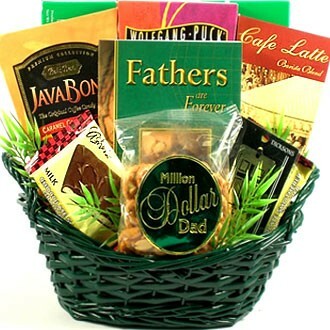 A wonderful gift basket for Fathers features a very special book titled ìFathers Are Foreverî filled with ìA treasury of quotations honoring the wisest men you knowî and arrives filled with ìMillion Dollar Dadî Cocktail Mix, assorted Chocolate dipped European Cookies, Cioccolati Biscotti, Caramel Cappuccino Coffee Candy, Wolfgang Puck European Style Coffee, CafÈ Latte Barista Blend Coffee. 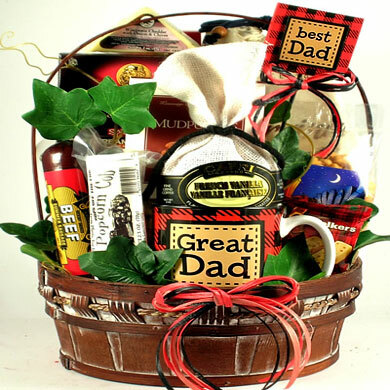 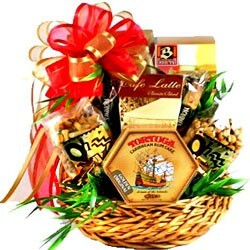 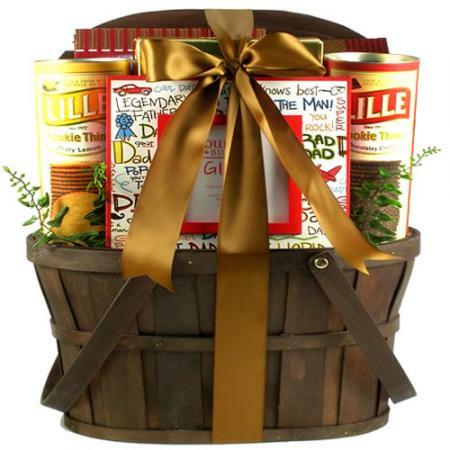 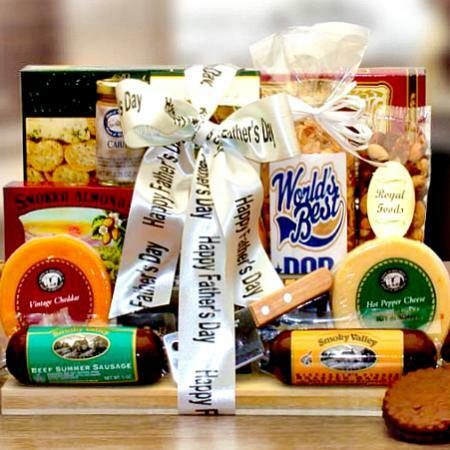 A perfect Father's Day gift basket or a special birthday gift for Dad. 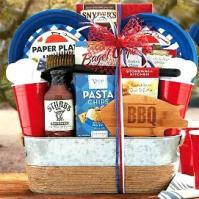 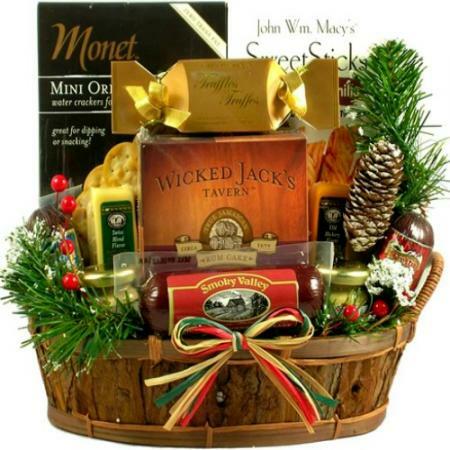 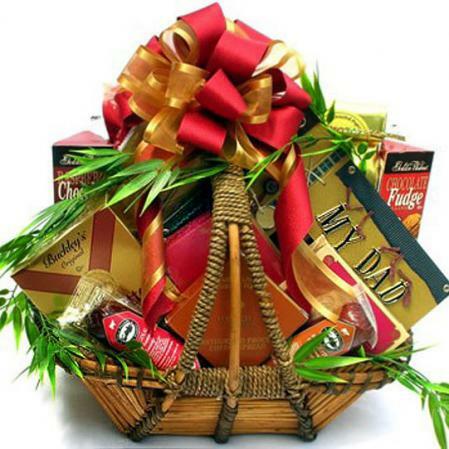 Click here to view more great gift baskets for men.